Home > Special Offers > Service & Parts > 18" Alloy Wheel Package for the 2018 Atlas! 18" Alloy Wheel Package for the 2018 Atlas! The winter tire sale is now on! 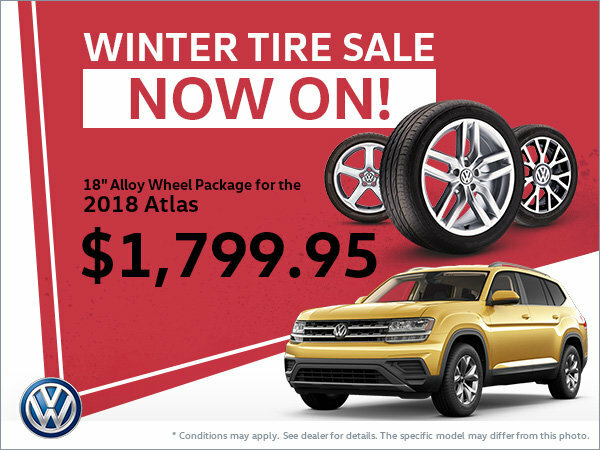 Take advantage of incredible rebates on 18" tire and alloy wheel packages for the 2018 Atlas starting from only $1,799.95! Drive safely all winter long! *Conditions may apply. See dealer for details. I wish to receive recalls, news and promotional emails from Myers Volkswagen.